The unnamable things stand in front of standard, and overflow from it too. We cannot see and hear them without the distance from standard, since we cannot name them. Signs, sympathies, unsure happiness, unattended violence, uncomfortable relief ― these things, whose names we cannot spell out, are celebrated from justice evermore. Justice is established by the mortgage (montage) of the unnamable things evermore too. I am but am not, I am here but here is not here. “Good evening, ladies and gentlemen. I am the leader of the party party, my name is Himitsu­chan. Himitsu means Secret in English. In this performance, I will tell about a “STORY”. The story is about parties. The stories that I’m telling you now could happen or have happened in front of you. But I think we must talk about secrets of being hidden too. We cannot tell all the stories at once, so let’s start to tell them one by one. 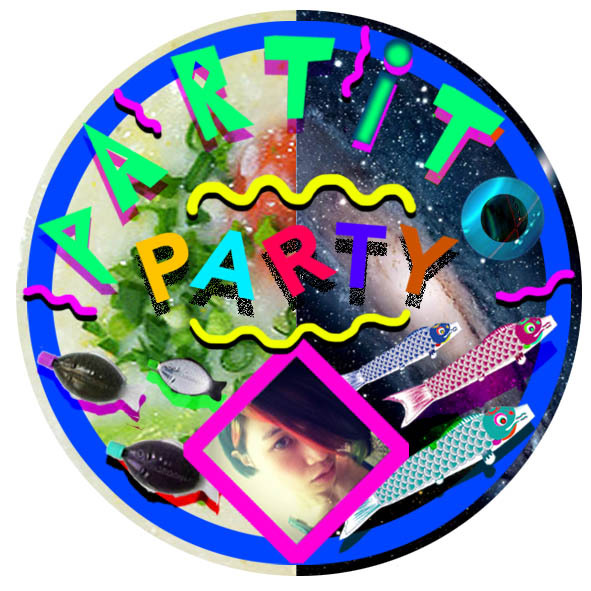 The PARTY party suggests to you, more various party in your life!!!! The Party PARTY from Wiesenburg on Vimeo.